To please the Indians, Asus has launched three variant of ZenFone 2 in India on 23rd April as Asus ZenFone 2 ZE551ML(4GB RAM+64GB ROM) At 22,999, Asus ZenFone 2 ZE551ML(4GB RAM+32GB ROM) At Rs 19,999, Asus ZenFone 2 ZE551ML (2GB RAM+16GB ROM) at Rs 14,999 in in Colours Ceramic White, Glacier Gray, Glamour Red, Osmium Black, and Sheer Gold colour option. All variants of New ZenFone 2 up for pre-order from 23rd April, Thursday through Flipkart. Asus also launched all new Asus ZenFone 2 ZE550ML at Rs 12,999 but not launched Asus ZenFone 2 ZE500CL(5-inch HD display) and Asus ZenFone 2 ZE551ML (2GB of RAM + 32GB ROM) in India. The all new Asus ZenFone 2 ZE551ML supports Dual-SIM (GSM+GSM), Micro SIM with 4G LTE (Cat. 4), 3G, GPRS/ EDGE, GPS/ A-GPS, Bluetooth, Glonass, Wi-Fi, USB OTG, and NFC powered by a 64-bit Intel Atom Z3560/Z3580 Quad Core Processor (Running at 1.8/2.3GHz) PowerVR Series 6 – G6430, with OpenGL 3.0 support with 4GB/ 2GB RAM variant and 16GB/32GB/64GB built-in-storage and 64GB external memory(ASUS WebStorage 5GB lifetime) makes multitasking a fun, gives immersive game environments and reducing power usage and heat and runs on Android OS, v5.0 (Lollipop) based on Asus ZenUI which allows you to enjoy millions of apps through Google play store. Asus ZenFone 2 ZE551ML comes with bigger a 5.5-inch full-HD (1080×1920 pixels) IPS display with pixel density of 403ppi and Corning Gorilla Glass 3 delivers stunning color consistency from almost any angle perfect for watching movies, playing games and reading e-books. Asus ZenFone 2 ZE551ML combines dual-powerful camera for shooting which includes a 13-MP rear camera f/2.0-aperture, 5-element, auto-focus lens with dual-color Real Tone flash with Camera features PixelMaster features: Low Light mode / Backlight (HDR) mode / Enhanced Beautification mode / Manual mode / Zero shutter lag and 5-MP front facing camera for clicking selfies and making video call. Asus ZenFone 2 ZE551ML is powered by a powerful 3000mAh battery with fast-charging technology allows you charge your smartphone up to 60 percent in just 39 minutes measures 152.50 x 77.20 x 10.90 and weight just 170gm. 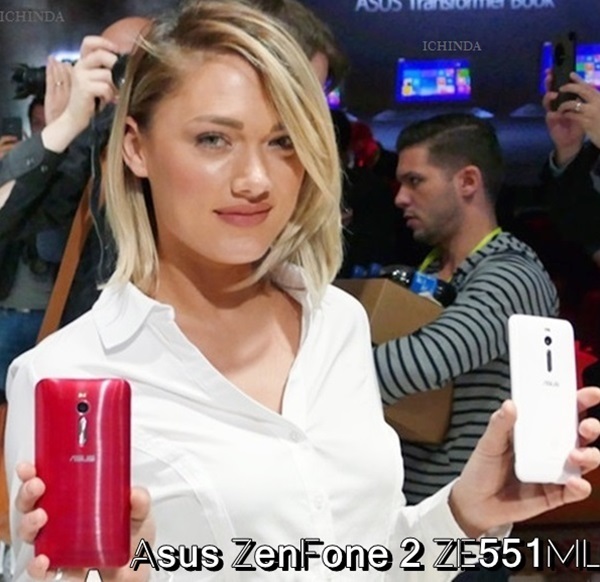 At last few honest word, Asus ZenFone 2 ZE551ML is coming rule the Indian market. What you think? Please be open to give your view.